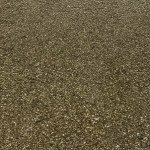 Tarmac is one of the cheapest materials you can use on a driveway, it lasts for decades, looks traditional and is a very popular choice. But how much does a tarmac driveway cost in the UK? We are tradespeople ourselves and have many years experience in the home improvement and construction industries. We know how much driveway installers are charging customers for new tarmac, so explore our price and driveway guide on this page. 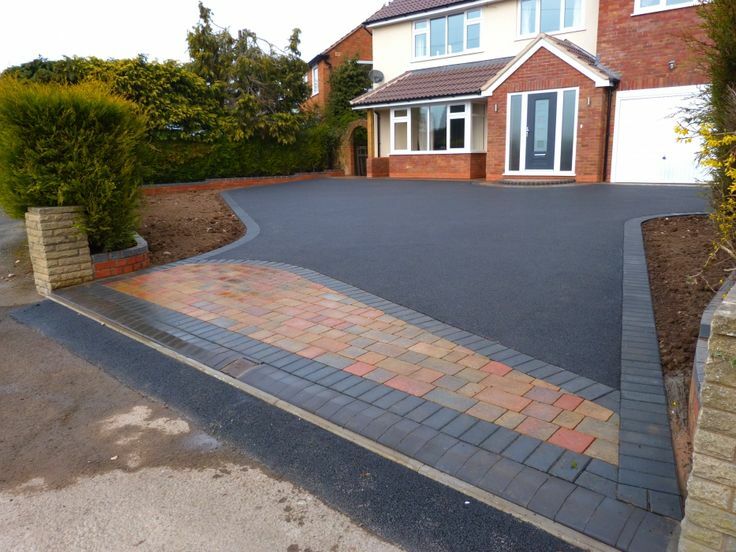 Tarmac is one of the four options you can consider when thinking about a new driveway. 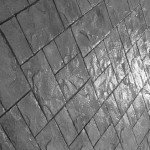 Block Paving – this is a popular option and there are many reasons why so many people prefer this material to any other. Check out our knowledge base and block paving price guide here. 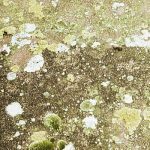 Pattern Concrete – not to everyone’s tastes but it does have benefits; weeds will never grow through this material, meaning it’s very low maintenance. It’s cheaper than block paving but more expensive than tarmac. See how much Pattern Imprinted Concrete costs here. Stones or Gravel – Visually appealing and traditional but leaves, twigs and dirt can reduce the long-term appeal. Also, can stones be used on steep driveways without the stones washing into the road? Explore our gravel price guide here. If you are a first time visitor to our site then the good news is – it’s really simple! 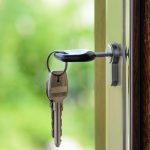 We conduct research into home improvement prices, such as driveway replacements and then publish the results on our pages, like the one you are reading now. We offer this service for free and because we aren’t selling anything, our price guides are impartial (unlike many other sites that show a low price just to get your contact details). We have provided two price examples for you to consider. The first is for a new driveway including a new base. The second figure is for an overlay. As the name suggests, an overlay means leaving the existing base in place. An overlay is where a layer of tarmac is placed on top of an existing driveway, usually an older tarmac driveway that is structurally sound but is perhaps looking a little tired. The base under the existing driveway hasn’t sunk. Overlays are quicker to install and obviously much cheaper, you don’t need to lay any base, sub-base or binding course. Minor repairs are carried out first, then a primer is spray applied before a 30-40mm layer of fine tarmac is laid and rolled. 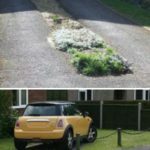 Not every driveway is suitable for an overlay, that’s why it’s so important you get a professional to inspect it first. The overlay price doesn’t include any cost for drainage or additional work, just prime the existing driveway and lay 35mm of surface layer. VAT – Does Everyone Pay it? The price examples on this page include VAT at 20% but not all businesses have to charge this tax. 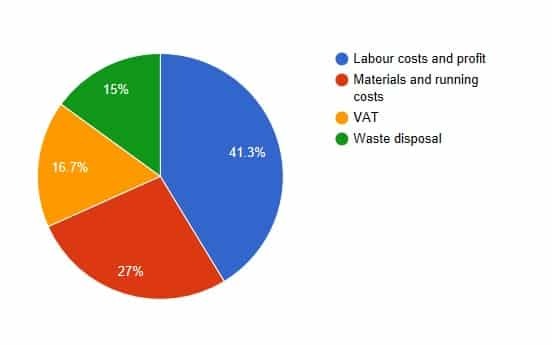 Smaller businesses that have a turnover below the VAT threshold are not obliged to register for or charge VAT on their labour and profit margins. So, you can make a substantial saving by choosing a small business. Check out our VAT page for more guidance. Any Other Ways to Save Money? We have played it safe with the thickness of the base, binder and surface layers. 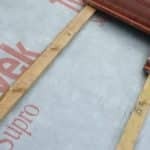 Some installers lay thinner layers to save money. 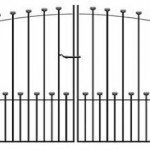 We personally feel that’s it better to spend a little more and ensure that the driveway won’t sink. The tarmac prices on this page are for black tarmac only. Red tarmac is also popular but can cost considerably more than black. Other colours are available but the cost is usually through the roof, especially for a small area such as a driveway, so we haven’t priced for these options. The reason why red and other colours are so expensive is that the manufacturer won’t be producing these variants in large numbers and will probably need to restart the production line just for you. That’s not a problem if you’re laying coloured tarmac to a very large area like a road, but for a small driveway expect it to cost a small fortune. The chart above shows where the money for a new tarmac driveway goes. We assume that the waste material is either taken away by skips or by grab lorry. What About Planning Permission and Regulations? 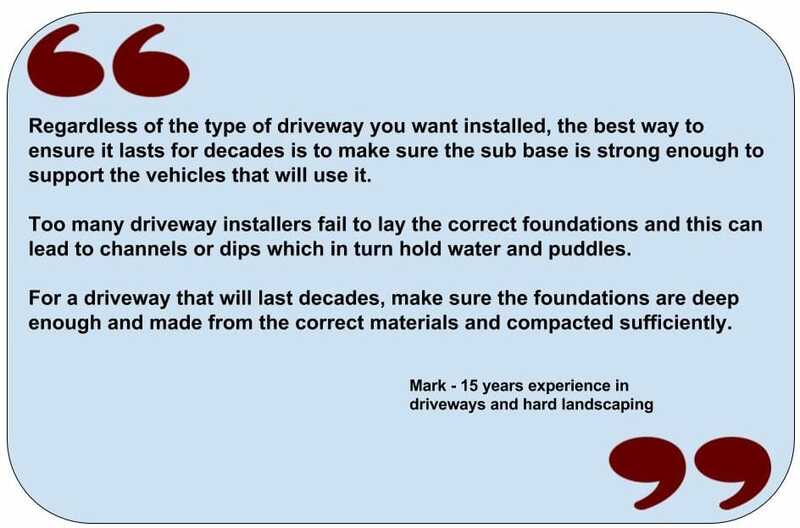 Did you know that in 2008 the government introduced new rules regarding driveways? We have created a simple and easy-to-read guide to these new driveway regulations. Don’t fall foul of the new rules – explore our two-minute driveway guide here. 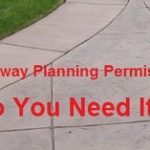 How Much Have You Been Quoted For a New Driveway? This is your chance to let other visitors to our site know how much you’ve been quoted for a new driveway. You can also see what others are being charged. We often rant and rave about Pinterest and regular visitors to our site will know how much we love this site. It’s a great place to get interior and exterior design ideas. 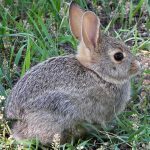 The prices on this page are based on our experience in the home improvement, we assume that the property is located in or near to Surrey. If you want to compare quotes from local tarmac driveway installers, just hit the link below and fill out the form. What About Very Large Driveways? When replacing driveways in excess of 100 square metres, the price per metre will reduce. 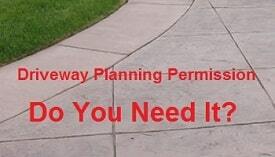 We suggest sourcing customised quotes for driveways larger than 100 sqm. Yes, the prices you see on this page are inclusive of VAT. The key to a long driveway life is to ensure the ground is correctly compacted and the sub base of sufficient strength. Ensure this and the correct thickness of the binding and top layers and your driveway should last for decades assuming light use. If you intend to use heavy vehicles on the driveway (3.5 tonnes and above) then consult the contractor about extra reinforcement. Rainwater must be diverted away from the house and shouldn't empty onto public land such as a road or pavement. 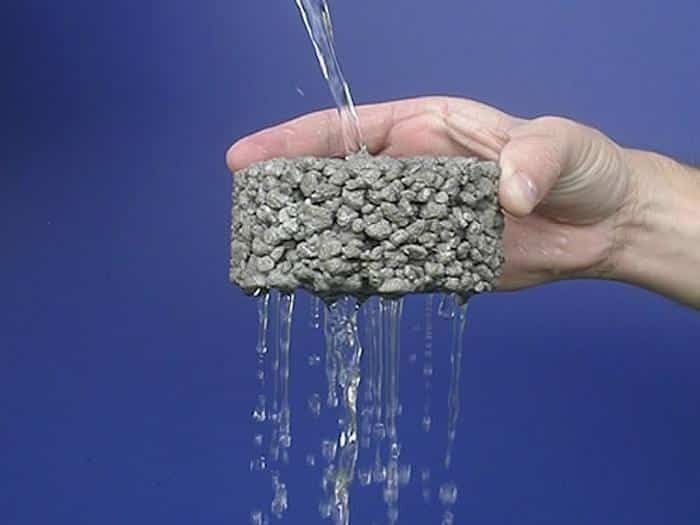 There are several ways to achieve this; slope the driveway so water runs off onto flower beds or the lawn, connect a rainwater channel into an existing or new soakaway. If neither of those options is possible, you may be able to discharge onto the public highway but you would need planning permission to do so. 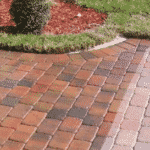 Don't forget; there are permeable driveway and patio materials that are designed to allow water to pass directly through into the ground. Speak to your driveway installer if you have issues with rainwater ponding on your existing driveway. In most cases; no. 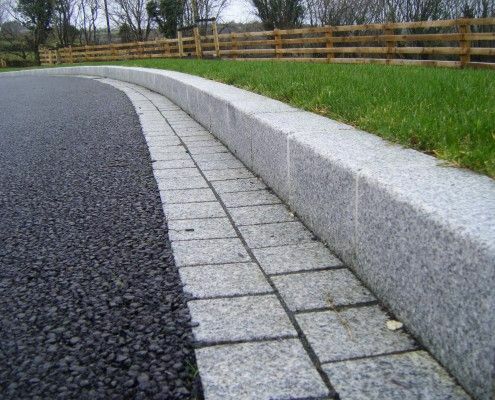 However, if you want to drop the kerb to allow access to a new driveway or you need to discharge water onto the highway then yes planning permission would be required. Overlays are always completed in one day, regardless of driveway size. Although some preparation work beforehand might be required; cleaning the existing surface and making good any repairs to pot holes etc. A full replacement including sub-base will take much longer. A 40 square metre driveway can be completed in a few days, a 100 square metre project will take longer. It all depends on much excavation of the existing ground is required, the type of material being dug up also affects the timescale. Tree roots and old cement can take a long time to remove.